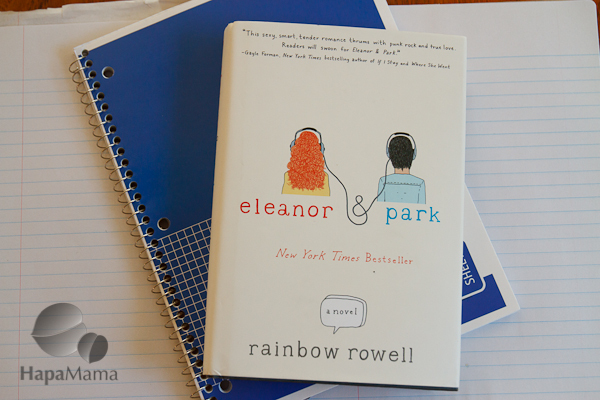 Update 9/22/13: I thought Eleanor & Park was a quirky, sweet teenage love story. But in the last few days it’s become the center of a controversy involving the Anoka-Hennepin School District in Minneapolis. Author Rainbow Rowell was invited to speak at the local schools and public library, but a the Parents Action League complained that Eleanor & Park is obscene and insisted the visit be cancelled. Incidentally, this is Banned Books Week. And so begins a tender friendship/sort of love story between two outcasts. The narrative alternates between chapters told by Eleanor and those told by Park. Both characters — as well as their parents — are imperfect, sympathetic and fully-fleshed. Which answers one of the age-old questions: can a white author write ethnic characters? In Rowell’s case, very much so. Park, his Korean mother, and his white veteran father are all very real people who I alternatingly loved, hated and was frustrated with. Park’s monstrous brother, Josh, is also hapa, but more of a stereotypical jackass jock. Rowell, who is white, addresses this questions herself in a blog post titled Why is Park Korean? The factors include Rowell’s father serving in the Korean War and several boys whom Rowell knew in high school, but Rowell explains in much more detail herself in the post. So whether you are a Gen X adult wanting to reminisce about teenage angst and 80s music or a Millenial wanting to experience that era before the Internet and iPods, you will thoroughly enjoy Eleanor & Park. Also, check out my piece at BlogHer looking into Why Are There So Many Stories About Girls and People of Color on Banned Books Lists? A copy of Eleanor & Park was provided to me for review by St. Martin’s Press, but you can click on this link to order a copy from Amazon and a commission will go towards supporting HapaMama. It’s true it’s not often you see an Asian male (and hapa) character. Sounds like an interesting book!